HLA Services and MacDonald Martin both North East businesses have come together to offer their services for free, to help aid a vital children’s charity. 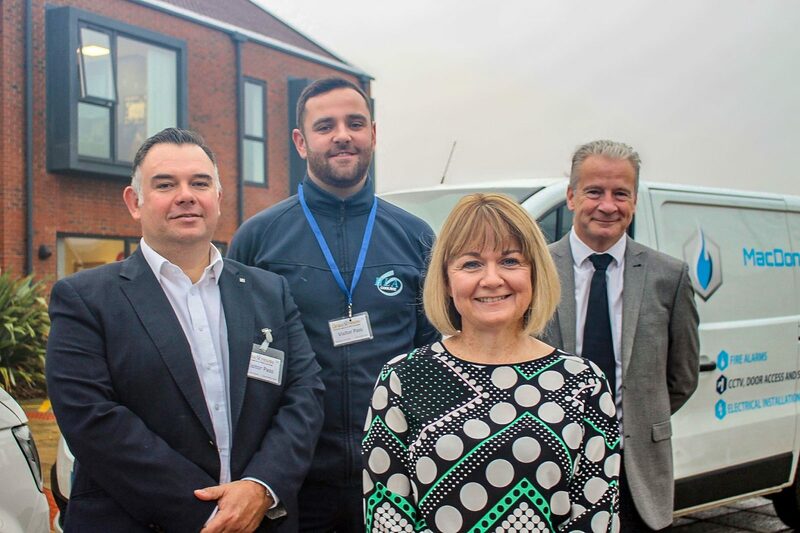 Sunderland-based fire and security experts, MacDonald Martin, and South Tyneside’s building maintenance specialists, HLA Services, have joined forces to provide a year’s worth of free support to Grace House, which provides respite care for sick children and young people. 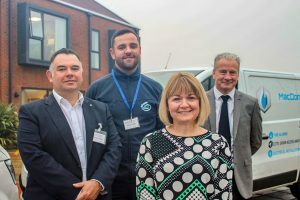 The companies joined forces to back the charity after learning of the life-changing work being carried out at the centre, based in Southwick, Sunderland. MacDonald Martin will be providing maintenance and call-out cover for the fire alarm, fire extinguishers, emergency lights, CCTV, security alarm and door access systems, while HLA Services will provide a similar service for the facility’s heating, plumbing FM and ventilation systems. Andy Trafford, owner and director of MacDonald Martin, which is based on Leechmere Industrial Estate, said: “Every year we support a charity, giving a percentage of our earnings to a good cause. We partnered with Epilepsy Research UK, a wonderful charity that enables ground-breaking research into the condition, last year and managed to raise £13,000 for the organisation. Grace House children’s charity welcomes children and young people from across the North East, with complex disabilities, health needs and life limiting conditions. The facility provides a fun, safe, exciting environment where children can visit and live life to the full. Specialising in overnight short breaks at the purpose built, fully accessible centre in Southwick, the facility delivers its service in partnership with Sunderland Carer and Support. Victoria Brown, Grace House chief executive, said: “To enjoy the support of these two brilliant local companies is fantastic for us and enables us to ensure that the investment we would have had to make in security, fire safety, plumbing and heating will now all go towards ensuring our visitors have the best possible experience during their stays with us. Neil Henry, services and maintenance director at Boldon-based HLA Services, said: “I’m really proud that HLA Services has partnered with our friends at MacDonald Martin to back this amazing charity, which makes an incredible difference to people’s lives. “I’d also like to thank Grace House for allowing us to give something back to a very deserving cause. It’s far too easy for businesses like ours to become so immersed in our day to day activities that we forget how something that is a relatively small thing for us, can have a significant impact on a charity and if just one child, young person or their family benefits from our two companies providing a year of support for free, then it will have been worth it.